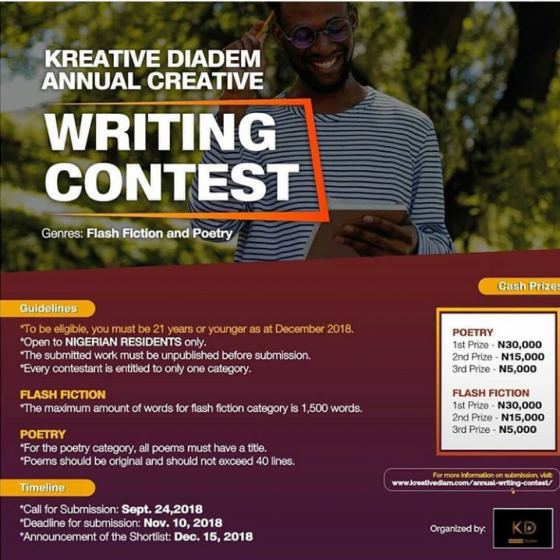 Kreative Diadem Annual Writing Contest Opens For Submission. 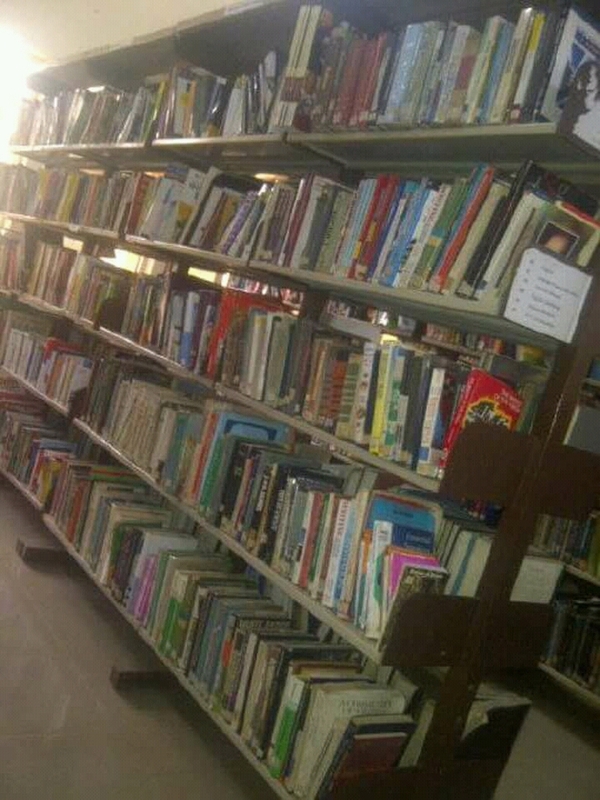 Lagos International Poetry Festival Opens for Registration. 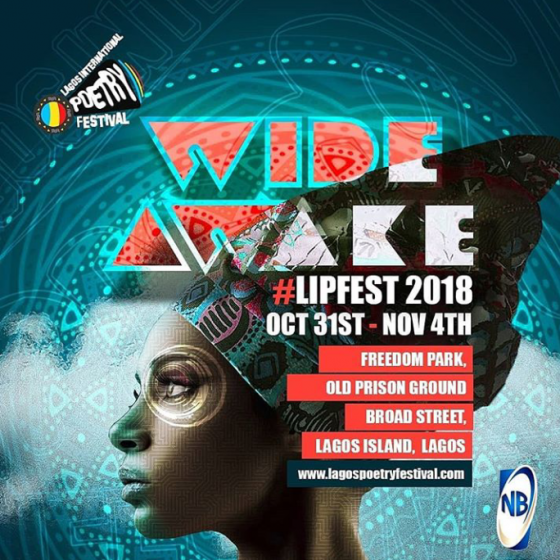 The Lagos International Poetry Festival is set to kick off at the specified 31st of October until the 4th of November, 2018.